You may have read my earlier post relating the survival story of our little tabby cat Lucy. In case you haven’t, it’s here. In it, I wrote about our other cat Samantha, who was 17 and in such surprisingly good health that she seemed virtually indestructible. I called her my cockroach cat because I was sure she would be one of the only creatures on earth to survive a nuclear blast along with the cockroaches. As it turns out, she wasn’t so indestructible after all. We had to put her down this morning. In the last week she went downhill very quickly, until yesterday morning she could barely walk or sit down. I took her to the vet and after a quick exam he told me that her kidneys were significantly enlarged and covered in lumps that were most likely cancerous, and that she was dehydrated and uncomfortable. We dosed her up on fluids and pain killers and brought her home for one more night to say goodbye, and this morning we stroked her and kissed her head as the vet pushed the anaesthetic into her little paw. It was so lovely and yet so very, very sad to see her slip away; away from pain and away from us after 17 long years. Sam is perched on The Rainbow Bridge, immortalised in the poem familiar to many people who have lost a pet. The two hearts, my daughter explained, have a special meaning: The one on the left is broken, but the word “not” above it means our hearts are not broken in two, and Sam’s death doesn’t mean we have stopped loving her. The heart on the right is large and whole with the word “definitely” pointing to it. Our hearts are full; full of love for Sam and for each other. 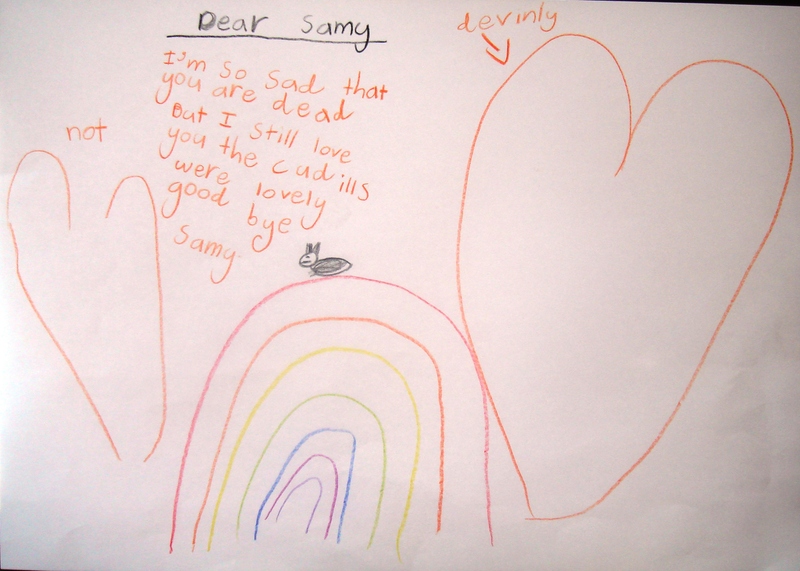 Dear Sammy, I’m so sad that you are dead. But I still love you. The cuddles were lovely. Good bye, Sammy. 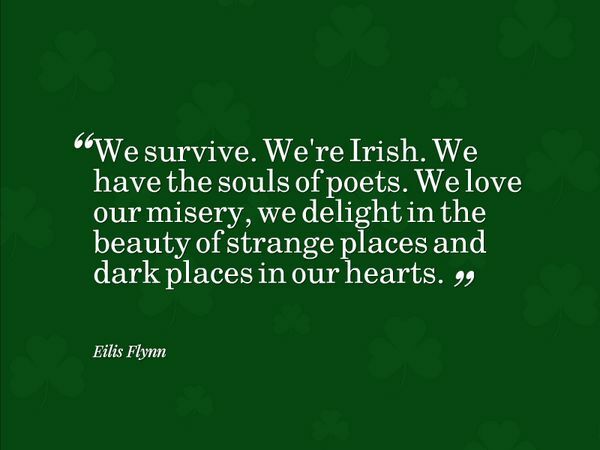 I couldn’t have said it better myself. And because I don’t think my own writing would do Sam justice today, here is a poem by Pattianne Rogers. For you, Sammy. We love you very much.